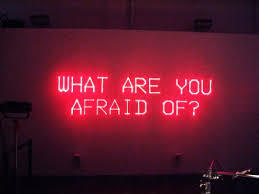 Labeling your fears helps to reduce the fear research has shown. I have told my clients for years that naming the problem helps. I say to them, "If you can't name it, you can't manage it. So naming the problems is 90% of strategy of minimizing and eliminating it." Research bears this assertion out. This activity in Narrative Therapy is called "externalizing the problem." The narrative therapy slogan is "The person is not the problem. The problem is the problem. So what's the problem." Finding a name for the problem takes some creative effort sometimes, but once it's named, it is much easier to deal with it successfully. Dr. Freud, the father of psychoanalysis said, "You can either talk it out or act it out. It is always better to talk it out." This study of labeling or naming the problem is further evidence that talk therapy works. For more on this research click here.